What are they Christmas Bokeh Light Overlays? All our bokeh light overlays are real! Yes, all bokeh lights are captured with camera. There is no brush work and we are not using stock images. Each collection has been photographed with love. Bokeh Light overlays are perfect time saving tools for each photographer who like to create eye catching, unique, high quality images. If you care about safety during your session, using light overlays is the best way, specially when you are photographing the little ones. 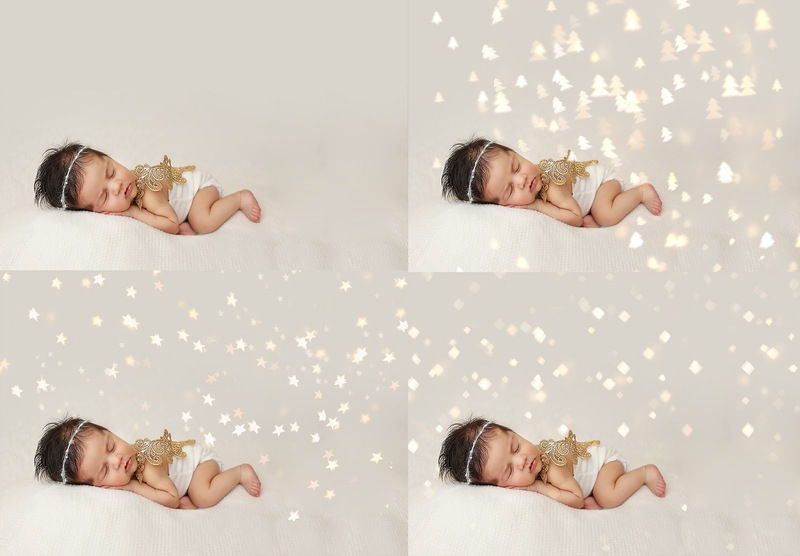 How to use Christmas Bokeh Light Overlays? There is really no magic when using these tools. Our overlays will work great with any software supporting layers - PS CC, PS CS+, PSE, Gimp and many others. These are simply drag & drop overlays, and you need to simply place them over your picture and since they has been saved as JPG imges on a clean black background, you should just change mode of the light overlay for SCREEN . How to pick perfect Christmas Light Overlay? 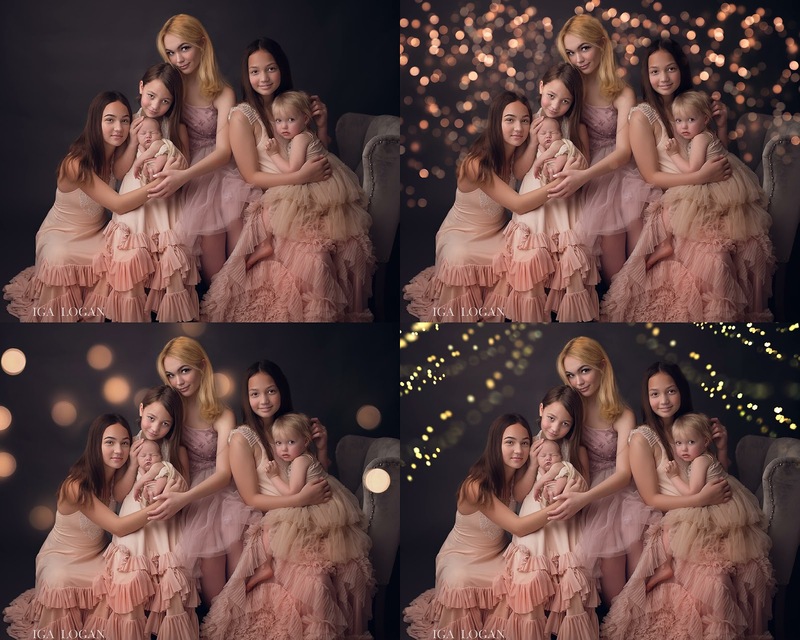 Our Collection of Bokeh Light Overlays is huge, so it can be hard to pick the perfect lights. There are beautiful golden lights, fantasy lights, Holiday shapes bokeh ones and classic snowflakes and stars. Our overlays will work great with any studio or on location pictures. They work fantastic with any light or dark backgrounds. You can mix & match these overlays and create truly unique looks. These are editing tools, so possibilities are endless. 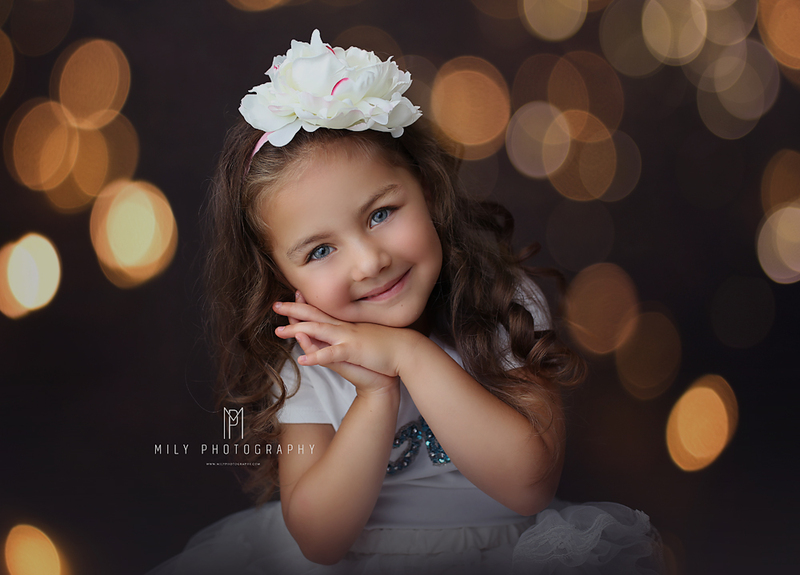 Thank you Iga Logan Photography & Mily Photography for fantastic Child Portraits in product previews.